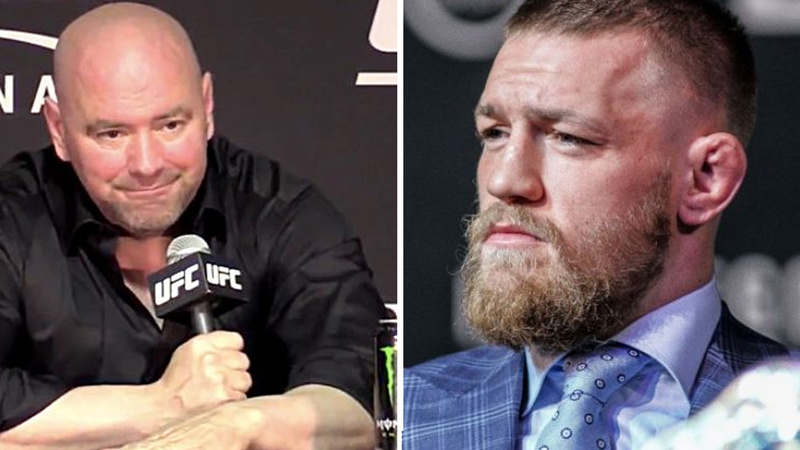 Conor McGregor is apparently pissed that the UFC will strip him of his lightweight championship crown. Mcgregor made a surprise appearance on Thursday at Barclays Center directly following media day, as Irishman Crashes UFC 223 Presser, Throws Barricade, Injures main card competitor Michael Chiesa in the process and then Flees away. Michael Chiesa, who is scheduled to face Anthony Pettis at UFC 223, suffered a laceration on his face in the incident, per MMAFighting.com’s Ariel Helwani. Other fighters on the bus were “shaken up,” per Helwani. In the midst of a serious incident involving Conor McGregor today, UFC 223 has lost one of its fights. Artem Lobov, one of McGregor’s SBG Ireland training partner in Dublin, has been pulled from his preliminary card featherweight fight against Alex Caceres as per UFC president Dana White. Lobov was named as one of the perpetrators of the crashing festivities. Dana White just told reporters here in NYC that Artem Lobov is OFF the #UFC223 card on Saturday. It isn’t clear at the moment whether Caceres will receive his show money for the canceled matchup.